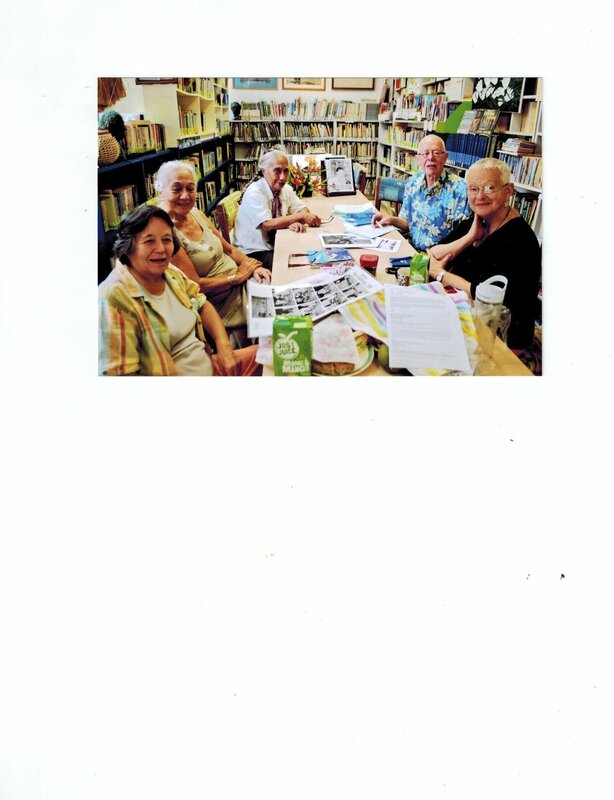 Cook Islands Library & Museum Society staff and ladies of the 60 Plus Club, together, held a morning tea on Wednesday 20th May 2015 at the library and museum at Taputapuatea, to thank Mr Oliver Sutherland and his wife Ulla, for their gifts to the Society. 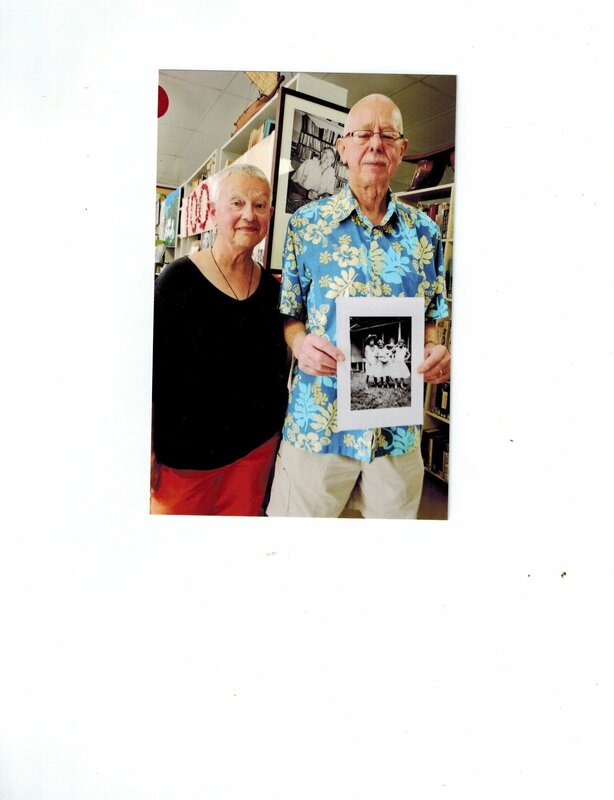 The gifts included a large collection of photographs taken by Ivan Sutherland, Oliver Sutherland’s father, as well as the biography Oliver wrote about his late father. The black and white photos depicting island scenes, and some of the well known island personalities of the time, were taken by Ivan Sutherland when he visited the Cook Islands and French Polynesia in the 1930s. 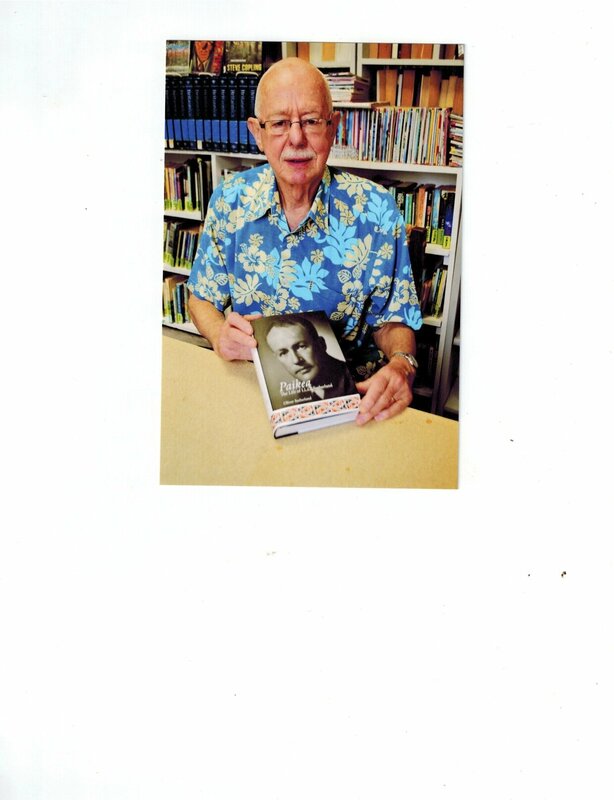 The impeccably researched biography, entitled Paikea: The Life of I.L.G Sutherland (480 pages) is available at the Library and Museum for borrowing. Ivan Sutherland, born in 1897, was a brilliant scholar and committed social psychologist. He worked closely with Ngati Porou in New Zealand and was a lifelong friend of Sir Apirana Ngata. As a mark of respect Ivan was given the name, Paikea, by Ngati Porou. In 1937, Ivan Sutherland became a professor of philosophy at Canterbury University College. Sutherland, who suffered a mental and physical breakdown, committed suicide at the age of 54, leaving his wife, Nancy, and five children. Oliver Sutherland is a retired scientist who worked for the Department of Scientific and Industrial Research from 1969-2003. Sutherland and his wife will be spending next week in Mauke, the original home of Paikea, a tupuna (ancestor) of the Ngati Porou, before returning to New Zealand. This entry was posted in History, Mauke, Uncategorized. Bookmark the permalink.